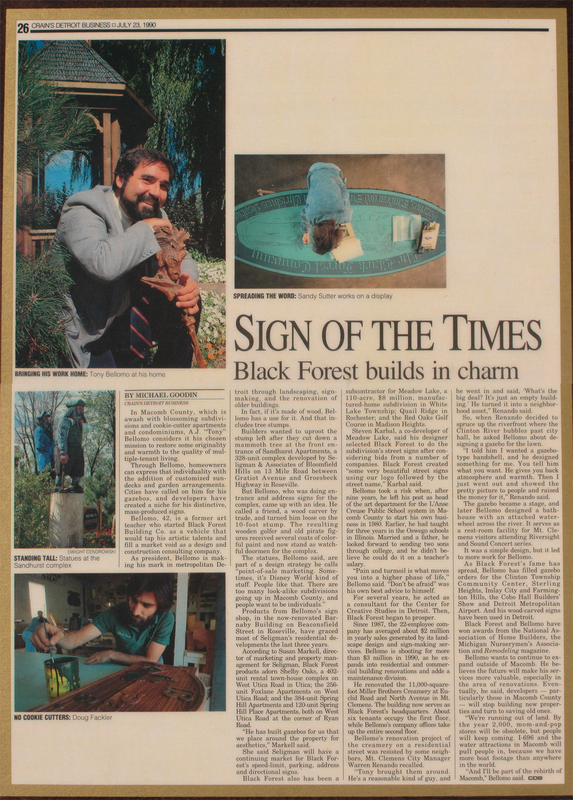 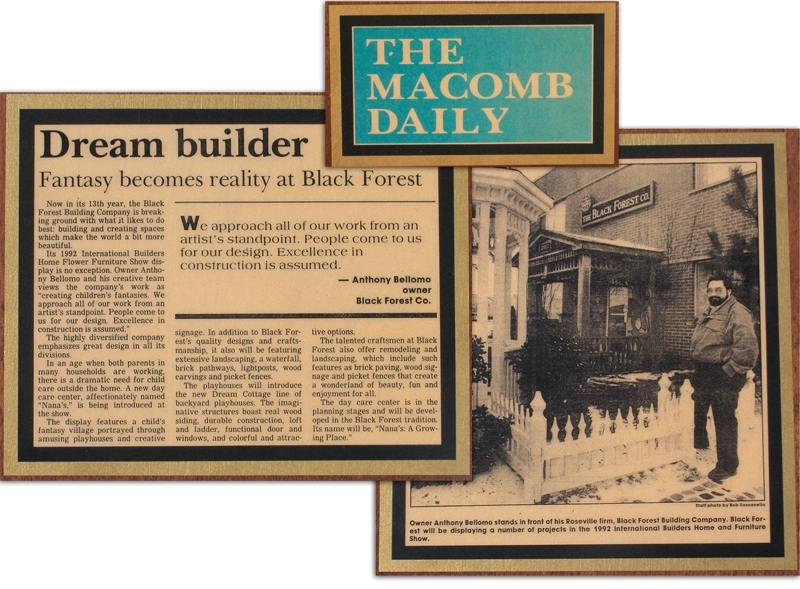 While winning many local, state and national awards, the Black Forest Building Company had grown professionally. Wanting to give back to an industry, Tony became president of the remodeling council for the Builder Association of Southeast Michigan, as well as, an active member in the Michigan Landscape Association. 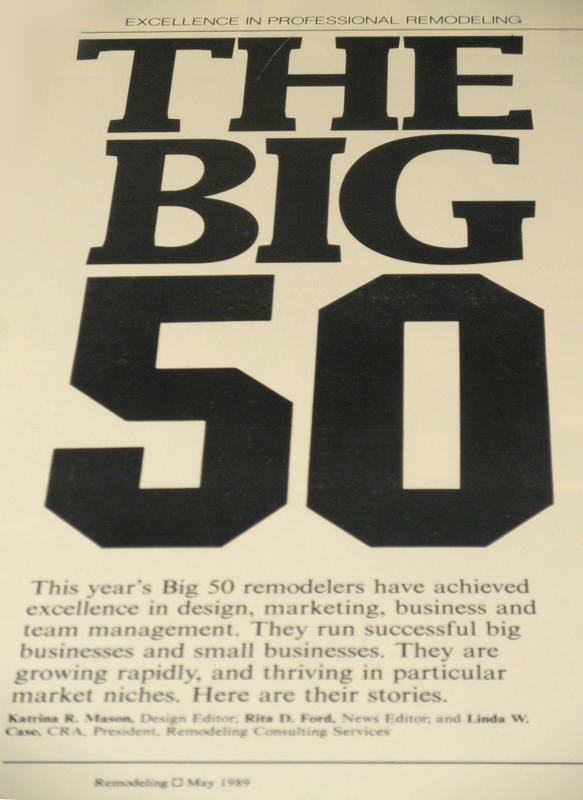 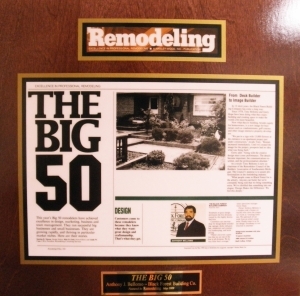 Tony was invited to Washington to receive the designation of one of the country’s top 50 remodeling companies in the nation by Remodeling Magazine. While he was there, he participated in a presidential, round table panel, sponsored by Linda Case, discussing the state of the remodeling industry. At that time, the big box building material suppliers were greatly impacting the remodeling business. 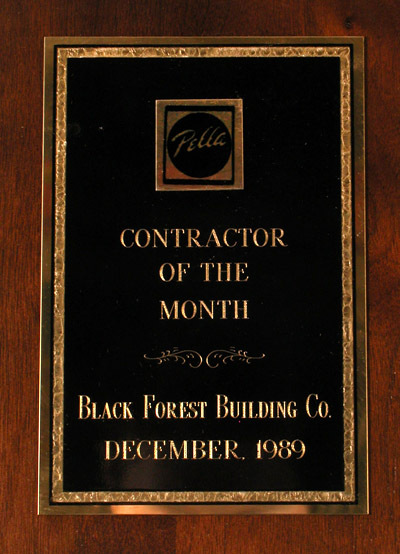 Bellomo shifted gears and turned his building company into a private practice. 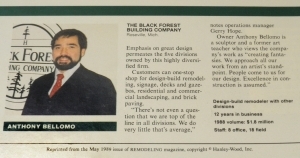 He used his degree in design and the arts and focused on individual clients, giving them one on one personal attention from design to final inspections. “He asks questions about our lifestyle, and then listens to me. 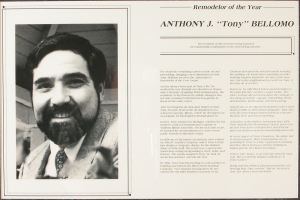 Tony made our project personal, asking how we want to live in our home. 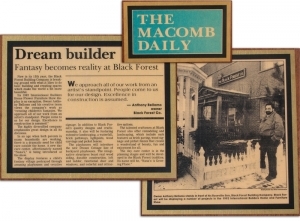 At first we dreamt the dream, he built it with us, and now we live in our own space that we helped design. 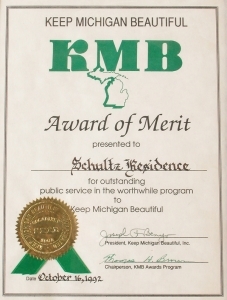 Living here is very satisfying” (a quote from a client). 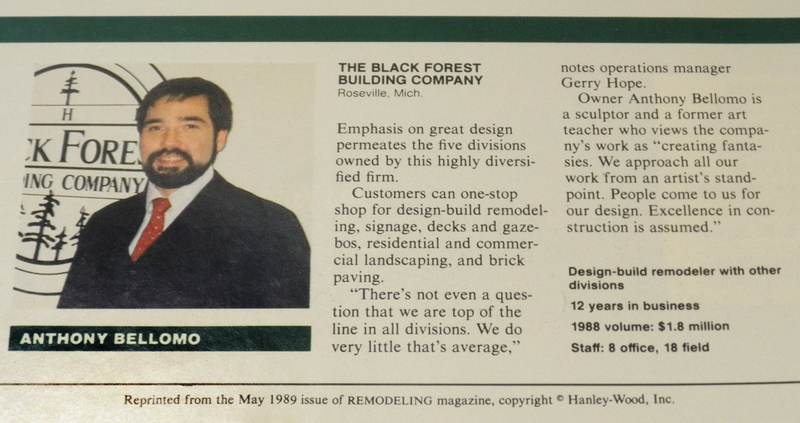 As time has passed, Tony came to the realization that a building is simply an armature for a life style. 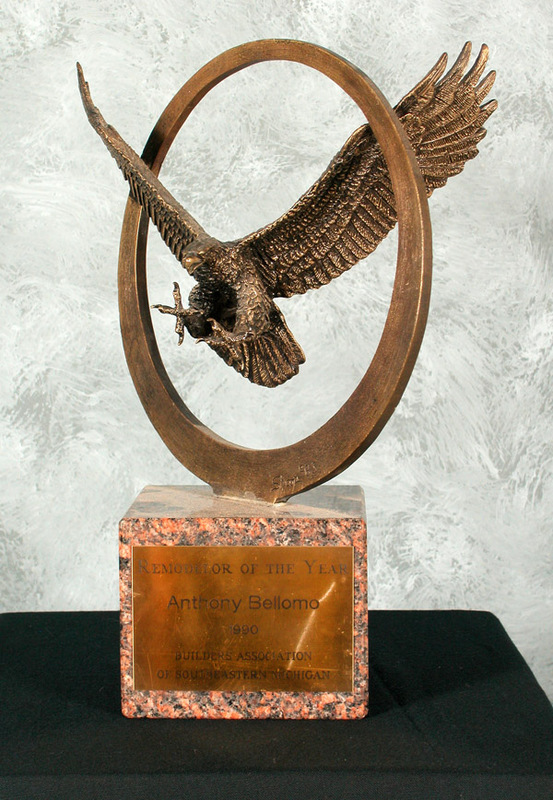 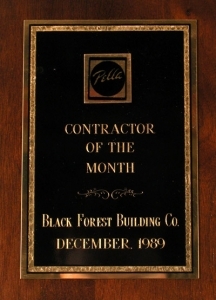 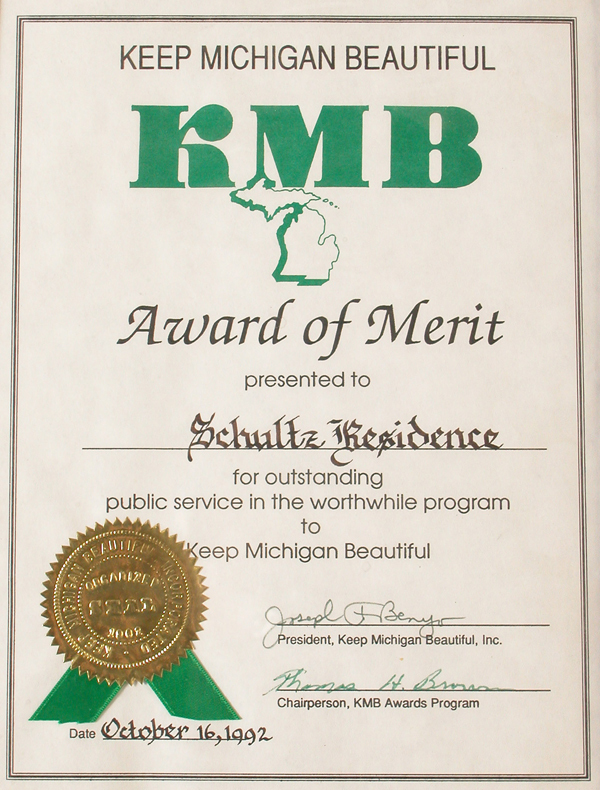 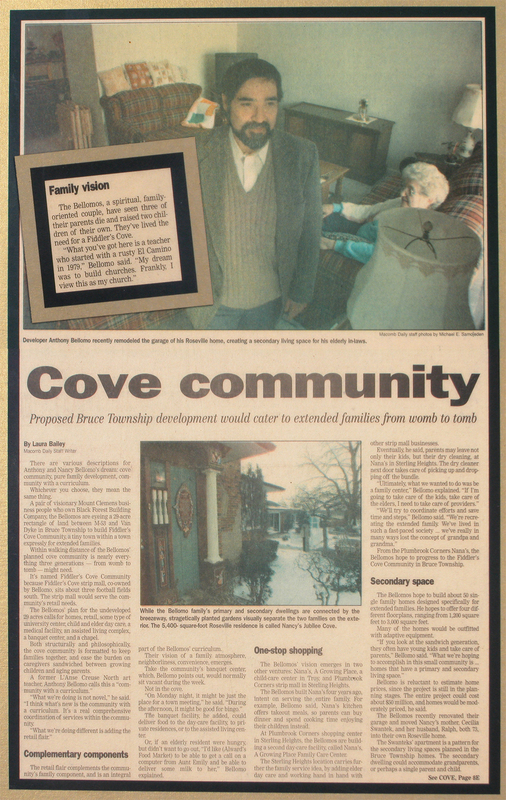 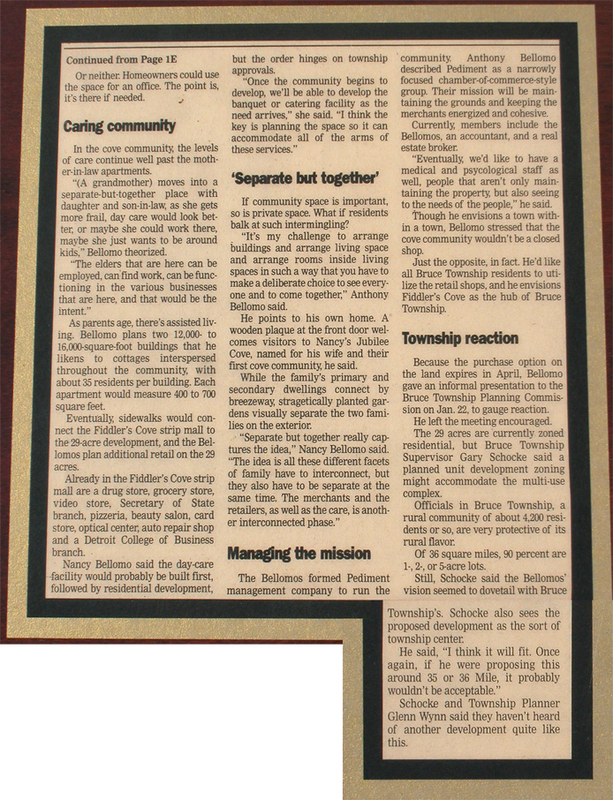 In 1990, Black Forest Building Company was honored as remodelor of the year by the Builders Association of Southeast Michigan. 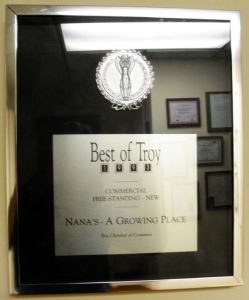 Lawrence Technological University commented that the child safety features incorporated in the design of Black Forest Building Company’s daycare center, “Nana’s”, were commendable. The City of Troy awarded Black Forest with (Best of Troy) outstanding building of the year. Tony and Nancy’s personal space has also been adapted to their lifestyle and commitment to the needs of others. 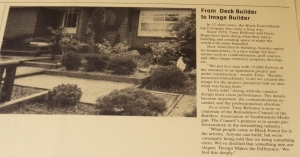 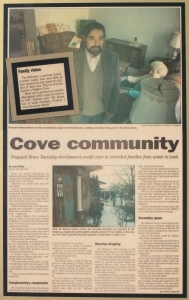 In addition to an art and music studio, they built an apartment next to their home for Nancy’s parents. 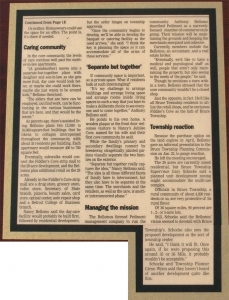 Bellomo, always using himself first to try out an idea, coined the term “separate but together”.